Dr. Shimasaki has over 25 years of practical experience in the biotechnology industry and as a serial entrepreneur and cofounder of three biotech companies. Within these companies he has held a variety of positions, including CEO, Chief Operating Officer, VP of Operations, Executive VP of Research and Director of Project Planning. He has raised multiple rounds of capital, both private and public and has been involved in most every facet of a biotech start-up. He is intimately familiar with the challenges of product development, and led international clinical testing and regulatory approval processes for multiple products through the FDA. He has raised multiple rounds of capital for these companies, and directed the marketing strategy and launch of products developed for molecular testing and personalized medicine. He is an inventor of numerous patents for both diagnostic and therapeutic applications. His passion is for the establishment and growth of biotechnology companies focused on developing life-saving products that significantly impact the health and well being of others. He has written this book to provide insight into the inner workings of biotech product development and the practice of starting and building a biotech business. His desires is to share his experiences in the dynamic business of bioscience to help others gain wisdom so they can better manage the risks associated in building a biotechnology company. 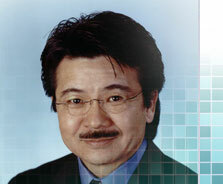 Dr. Shimasaki serves on the boards of: i2E (Innovation to Enterprise) a non-profit technology commercialization center focused on assisting the entrepreneur in taking their ideas through to commercialization; OKBio, the state biotechnology industry organization; InterGenetics Incorporated, a personalized medicine company; and the Governor's Science and Technology Council. He received his B.S. in Biochemistry from the University of California at Davis, Ph.D. in Molecular Biology and Biotechnology from the University of Tulsa and his M.B.A. from Northwestern University’s Kellogg School of Business.